My Keen Wealth team can help you make well-informed decisions for your retirement. We can help you figure out how much to save and invest. We can help you figure out an annual withdrawal rate that will keep you happy and active without breaking the bank. We can put you in touch with the right tax and health care pros. We can help get your estate in order. Heck, we’ll even sit down with your children and explain to them the importance of starting their own financial plans as early as possible. But the sad truth is this: even if your financial planning is perfect, if a cybercrook scams you out of your identity, or your nest egg, it could compromise your entire retirement. We’ve talked quite a bit about cybersecurity lately as big breaches like Equifax or malware like WannaCry have been in the news. But on today’s show I’m bringing in the big guns: retired FBI Special Agent Jeff Lanza. In his 20-year career, Jeff investigated cybercrime, fraud, organized crime, human trafficking, and terrorism. 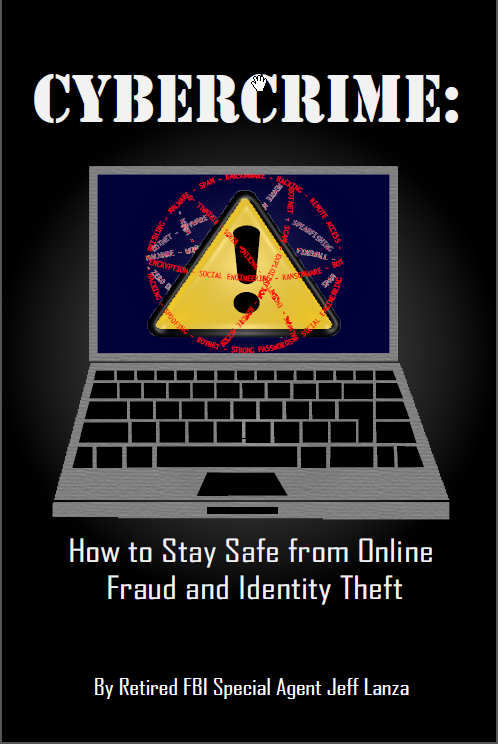 He’s also a popular public speaker, media consultant, and author of a recently released book titled Cybercrime: How to Stay Safe from Online Fraud and Identity Theft. 1. Freeze your credit reports. According to Jeff, the Equifax breach in September 2017 put over 140 million Social Security numbers in the hands of hackers. “If your Social Security number is in the hands of a bad guy then they can use it to commit fraud much more easily than if they didn’t have your social,” he warns. Freezing your credit reports is an effective deterrent – even more effective than the kind of credit monitoring a company like LifeLock provides. If a hacker tries to use your Social Security number to open a new credit card and you credit report is frozen, the credit company won’t be able to check your history, and the request will be denied. A freeze doesn’t affect your existing accounts, and when you do need to use your credit history to, say, apply for a loan, then you can lift your credit freeze. Do some research to find out what freeze options are available in your home state and at what cost. And speaking of Social Security, don’t forget that your Medicare benefits are no longer tied to your Social Security number. The 59 million new Medicare cards the government has started sending out have been a big target for scammers, so ignore any calls or emails asking to “verify” your new 11-digit Medicare number. These emails are what’s known as “phishing” scams. Hackers send out a wide “net” by sending out emails to as many people as possible, hoping to catch a few “fish.” At your office, you might want to keep an eye out for “spear phishing,” which targets a specific person. This is how hackers were able to infiltrate the Democratic National Committee. 3. Beware of public Wi-Fi. The free public Wi-Fi provided at hotels, coffee shops, and airports might be convenient, but those networks are also not as secure as your home or office setup probably is. As an alternative to public Wi-Fi, Jeff recommends activating your phone’s hotspot feature, which turns your cellular internet connection into a password-protected Wi-Fi network. And if you absolutely have to connect at your local Starbucks to answer an email, please wait until you get home to sign in to your banking accounts. 4. Replace your passwords with a passphrase. Jeff says the biggest current trend in improving your cybersecurity is ditching that sheet of paper or Word doc where you keep a dozen passwords for a dozen websites. “I recommend everyone get some sort of password manager or use a secure note app via Apple or Android devices,” he says. What these services do is lock up all your passwords behind one secure passphrase. That passphrase is all you have to remember, so you can make your individual passwords stronger: a mix of upper and lower-case letters, numbers, and nonalphanumeric characters ($ % #, etc. ).